Tennis elbow is a misleading name for a common injury. Despite the name, tennis elbow is not just a concern for Serena Williams or Roger Federer. While tennis players can be affected by this problem, it also affects baseball players, swimmers, carpenters, plumbers, meat cutters, or anyone who repeats an arm motion over and over. It can be so painful that lifting your morning cup of coffee to your mouth can become an ordeal. Tennis Elbow can be acute, caused by inflammation, or chronic, caused by degenerated collagen. In acute tennis elbow, you will find the inflammation in the tendon and bony lump at the outer part of the elbow. This inflammation happens because of repetitive stress placed on the forearm muscles. The repetitive stress causes the tendons of the elbow to become irritated,and exert a force on the joint of the elbow leading to inflammation. Chronic tennis elbow is most seen in non-athletes between the ages of 35-55 years old. In most cases, it is a result of tendon degeneration, which causes normal tissue to be replaced by a disorganized arrangement of collagen. It can happen as a result of a single traumatic event or repetitive stress. Tennis elbow will cause pain in the bony knob on the outside of your elbow. This is where the injured tendons connect to the bone. You may also feel pain in the upper or lower part of your arm. How do I prevent tennis elbow? Stretching – For those who know their work or play will involve a lot of repetitive arm motions, stretching will be your best preventive measure against tennis elbow. Stretching these muscles works to strengthen them over time. For a list of stretches, click here. 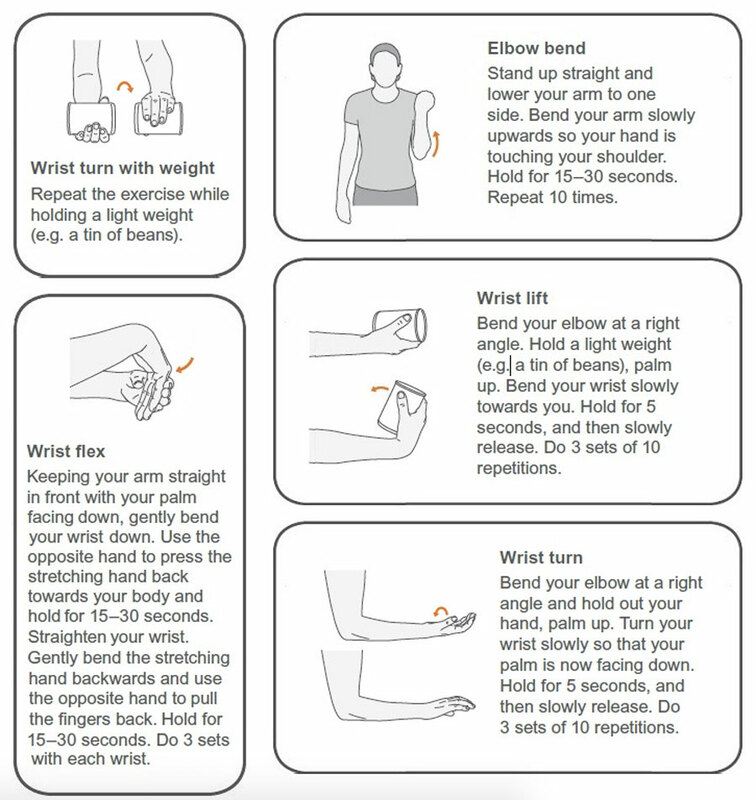 Squeeze and release exercise – Strengthening your wrist muscles will help to avoid tennis elbow. Ironically, a great tool to accomplish this, is a tennis ball. Grip a tennis ball in the hand of your injured arm. Squeeze and release the tennis ball for 2-3 minutes, 3-4 times a day. How do I treat tennis elbow? A recent study has shown chiropractic treatment to be effective for tennis elbow. Your chiropractor will assess your pain and first determine the cause of your tennis elbow. Chiropractic treatment for tennis elbow may include: Active Release Therapy (ART), the Graston Technique, which is an instrument-assisted method your chiropractor uses to detect and resolve adhesions in the muscles and tendons, and extracorporeal shockwave therapy, where your chiropractor sends acoustic shock waves into the bone or soft tissue and breaks up the scarring that has penetrated tendons and ligaments. Tennis elbow should not be ignored. Without the proper treatment it is unlikely to go away on its own. The pain can even begin to spread to the forearm and the wrist. Temporary bracing can help stop tennis elbow from worsening, but is a Band-Aid rather than a cure.